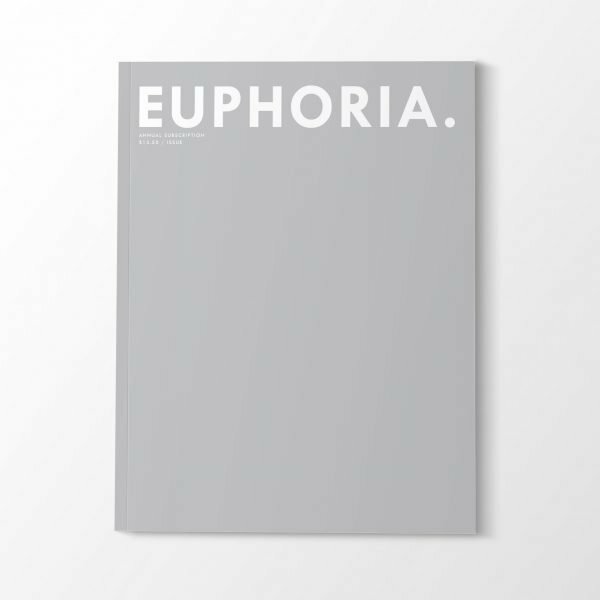 Your annual subscription includes four volumes of EUPHORIA., which is published quarterly. Your subscription will begin with our upcoming Winter 2018 issue. EUPHORIA. Magazine is perfect bound and printed in full color on a luxurious cover stock. It measures at standard US Letter sizing (8.5×11″).